Mix together the cream cheese and sour cream in an electric mixer or food processor until fluffy. Sprinkle green onions over the top of Chipotle sauce, then sprinkle pecans. 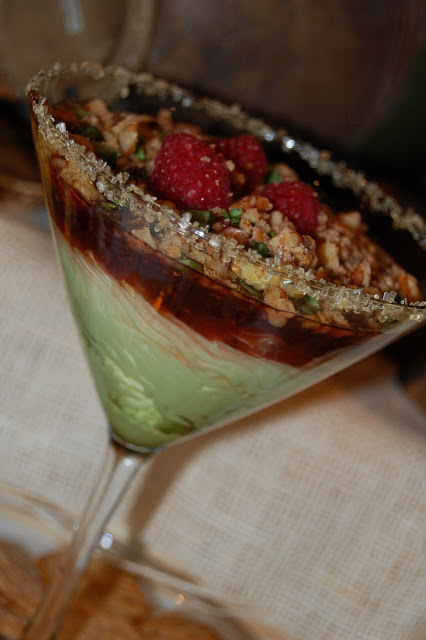 Garnish with a sprig of Cilantro if desired and a few fresh raspberries. Serve with Keeblers Wheatables, Original Golden Wheat crackers in a red and yellow box.